Trimble SketchUp which was earlier a subsidiary of Google is a 3d modeling software for multi-faceted design and modeling. It can be used for creating architectural, landscape modeling, Interior, Civil and Mechanical engineering design. It even goes beyond this and can also be used for creating 3d animation films and video games. This software is available as free ware and as a paid software with additional functionalities. It has a very huge collection of 3d models of objects that can be used readily while creating one’s own 3d design. Wizcrafter is the only Authorized training institute in whole North India that provides training in Trimble SketchUp. The course aims at providing training on this software for developing low value projects which is mainly used by students and hobbyists. Unlike the professional software’s by Autodesk like 3ds max and others, this software is low on your pocket and is used for school and college projects. You have a 3d ware house where a huge collection of 3d models like that of a table or chair is already available for use. Our instructors will open your creative side and will help you develop the design of your choice by simply using the models available in 3d warehouse. Anyone who has a taste for creating 3d models should definitely start with SketchUp. It has a patented technology called Push & Pull technology which lets you draw the 3d objects on flat surface. It creates STL files also, which can be readily used by 3d printers. It is a cloud-based application and all your work can be stored and continued with later. You can draw from a small chair to a big city in sketch up and since it is a freeware you can practice your modeling skills as much as you want. We are the only authorized training center for Trimble SketchUp in the whole North India. 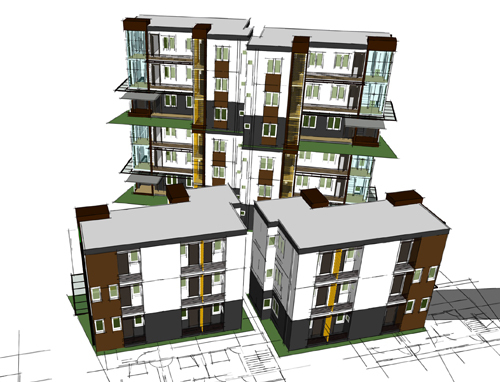 Our expert instructors will take you from the scratch level modeling to creating beautiful cities in SketchUp. Since SketchUp is an intuitive software, you need not worry about your drawing skills. We will detail you on how to use the 3d model warehouse already available n SketchUp and will also guide you on how to create your own 3d models and save them for future use. The job prospects are great after learning SketchUp, you can either guide the students on how to accomplish their project requirements or you can work as a full-fledged professional consulting and helping big companies with their projects. Our placement cell will guide you while applying for jobs after learning SketchUp and we will be delighted to provide you with this support in future also. School students or college goers who are interested to design and create 3d models should enroll for this course. This course is specially designed to help you understand the minute nuances of the software. But professionals can also benefit from this course as they will get to learn, how to create big projects using the pro version of this software.